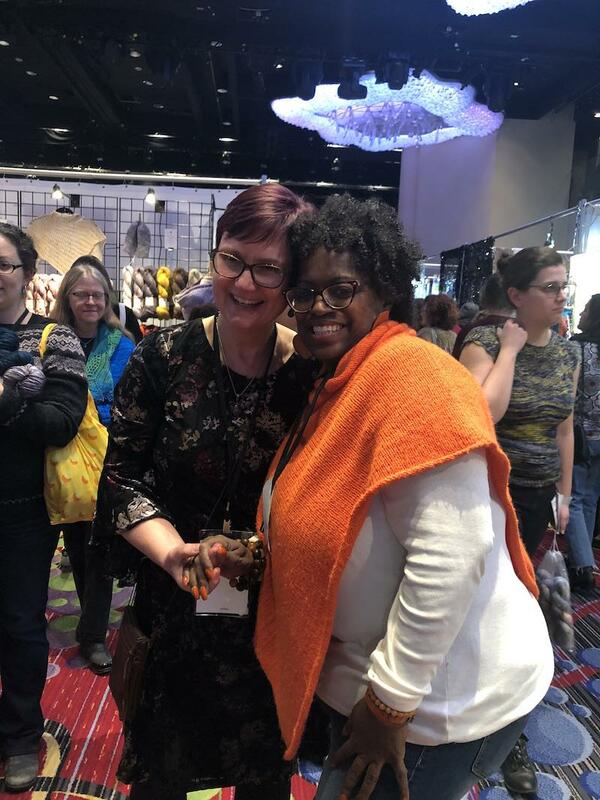 Looking through all these snapshots from Vogue Knitting Live this past weekend in New York, I just keep smiling. 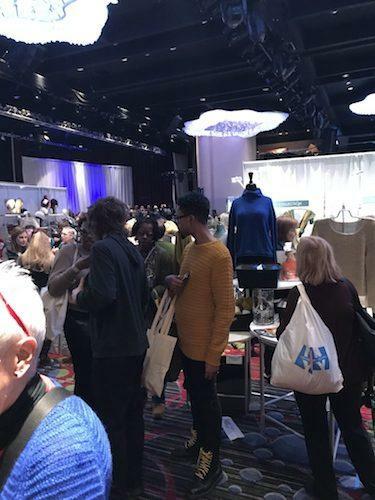 Imagine 8,000 knitters wedged into the architectural wackiness of the Marriott in Times Square, everybody there to wallow in the company of other like-minded folks. We had the chance to meet so many people we know online. We caught up with designers—ones we love already and others we’ve admired from afar. 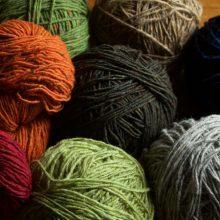 The yarns were copious and beautiful, with new names mixing in with familiar ones. We may have caught a bit of speckle fever. 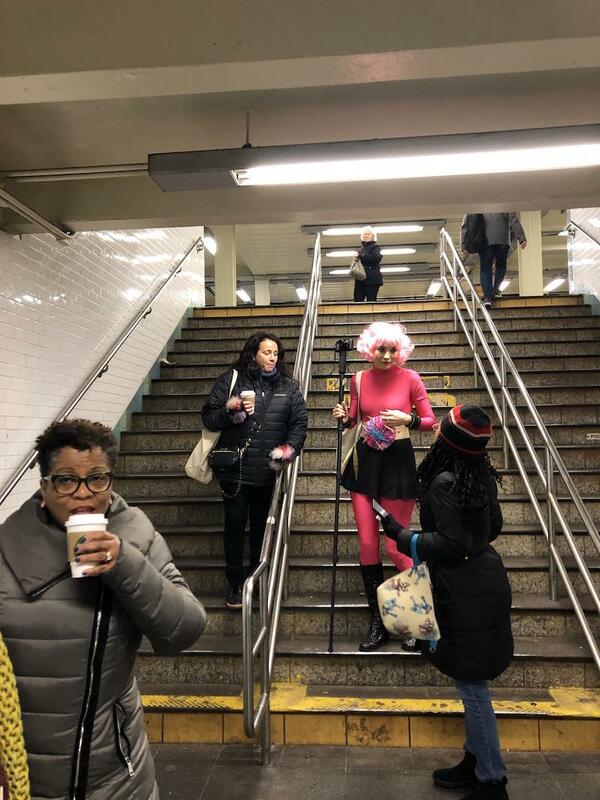 We got up early on Saturday to follow the extravagantly clad Kristy Glass onto the 1 train for a Subway Storm that left us laughing. We stood for a photo next to the TKTS booth, where the lucky folks hoping to score Hamilton tickets (good luck with that!) got to see hundreds of knitters pose for what was basically a class photo. So much hugging. All weekend long, I saw hugging at a level that I’ve never seen. So many hammy photos of people loving being with each other. 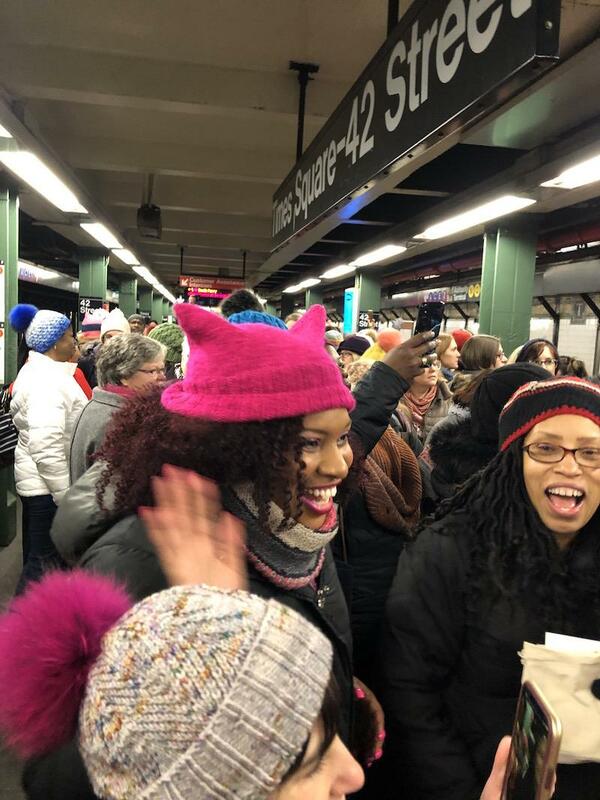 Grateful to everybody who stopped to say hi. 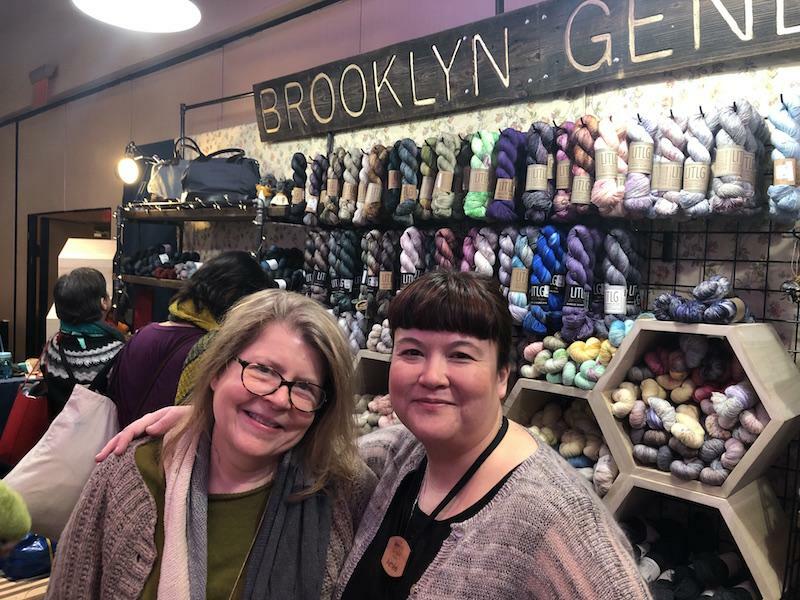 Thanks to Karin Maag-Tanchak at Periwinkle Sheep for a superfun hangout, and to Pearl Chin at Knitty City for hosting us. 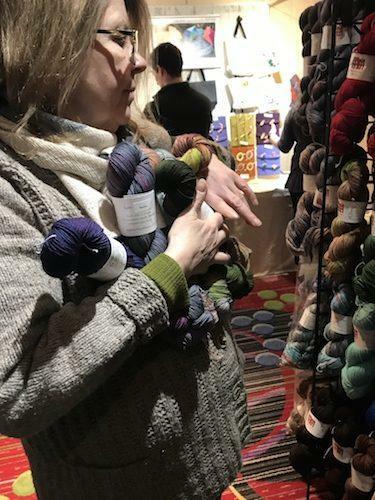 Also: to every yarn vendor who brought their wares to this most challenging of venues, thank you! I know it’s a big deal to set up shop at an event like this—it was huge fun for us to see such a wonderland of beautiful things. 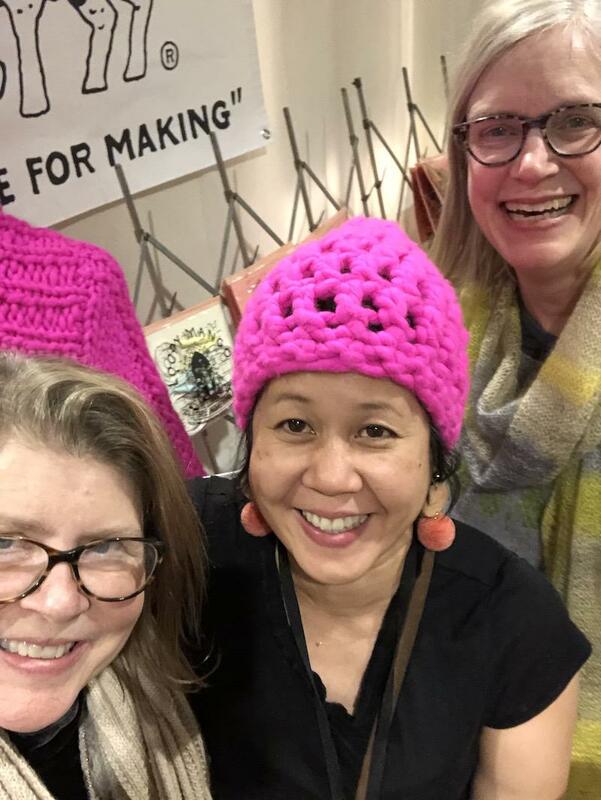 Finally, a big congratulations to the folks at Vogue Knitting Live, who corralled the whole thing. Wow. I’m heading back to Nashville with a full heart and a giant bottle of Advil to get me through this NYC souvenir cold. We may have been blocking a stairway for a minute or two. We’re sorry! 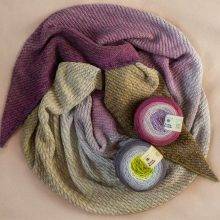 Amy and Tina of Periwinkle Sheep may be the first to HAVE CROSSED the Bang out a Sweater finish line—a month early. 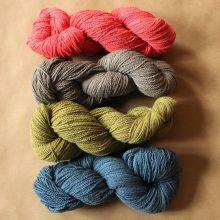 ABOVE: Periwinkle Sheep Merino DK, in the Liberty Tree Pullover pattern from Field Guide No. 9: Revolution. BELOW: YOKE FROM INTERCHANGE(ABILITY) BY NORAH GAUGHAN. LURVLY! 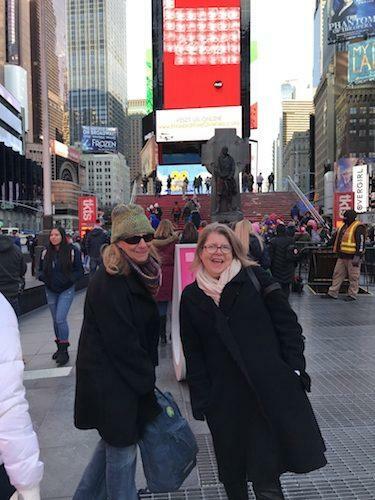 Karin Maag-Tanchak and Gaye Glasspie aka @ggmadeit. The lighting fixture is a blessing upon their heads. StevenBe and me. Photo by Jen Geigley. 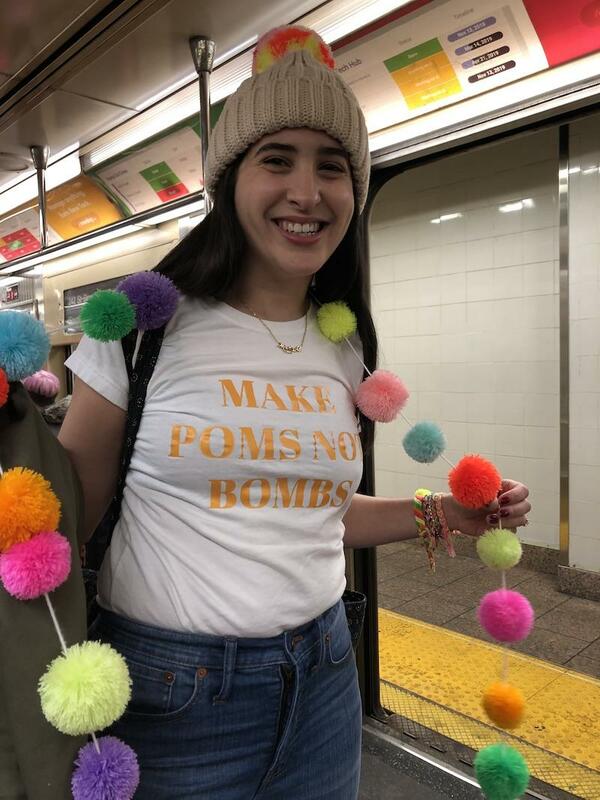 marisa morrison, aka @TheNeonTeaParty, was handing out love, in the form of pom-pom yarn. CATCHING UP WITH LOOME TOOL MAGNATE VILASINEE BUNNAG. 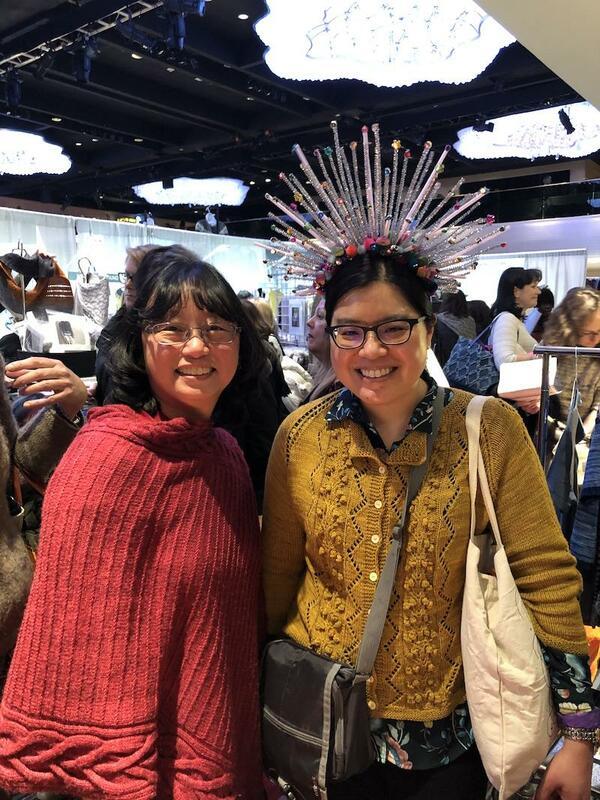 On the right, Christine @minimoebius, resplendent in her birthday crown and mariage soeurs cardigan. On the left, Marian of @marianatedyarns in her Snake River Poncho. At Knitty City with Luis Boria, aka @brooklynboyknits. At Brooklyn General with Aimée Gille of La Bien Aimée. Amy Reeder, in one of her Very Inventive Hats. 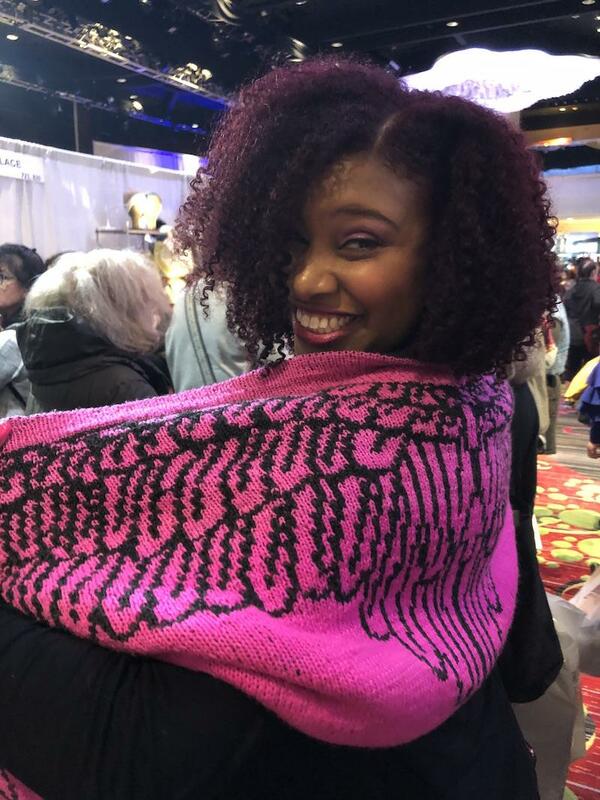 Shameka Clarke in her stunning hot pink/black version of the winged triangle shawl by Tania Richter. 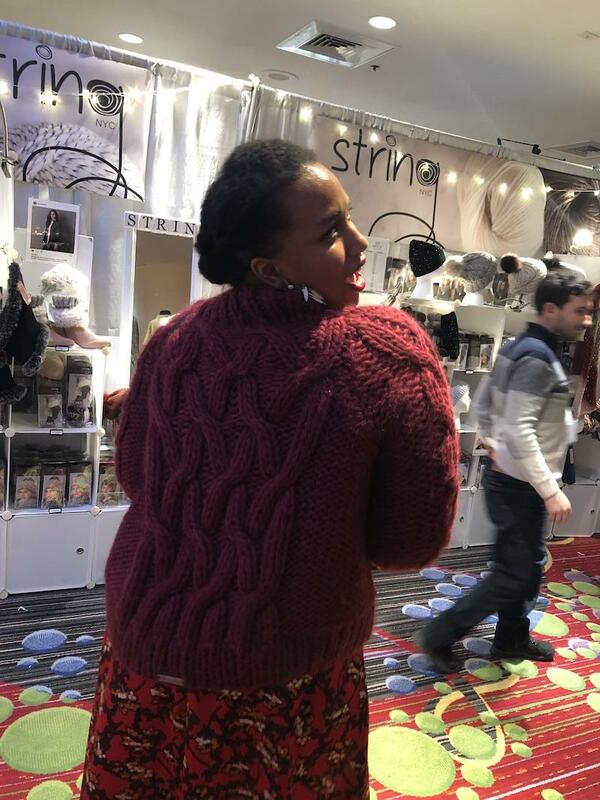 It’s double knitting, so to see the pink-on-black side, visit Shameka’s instagram. The cardi that stopped us in our tracks, made without a pattern by @bobbleclubhouse. It was a truly wonderful weekend. 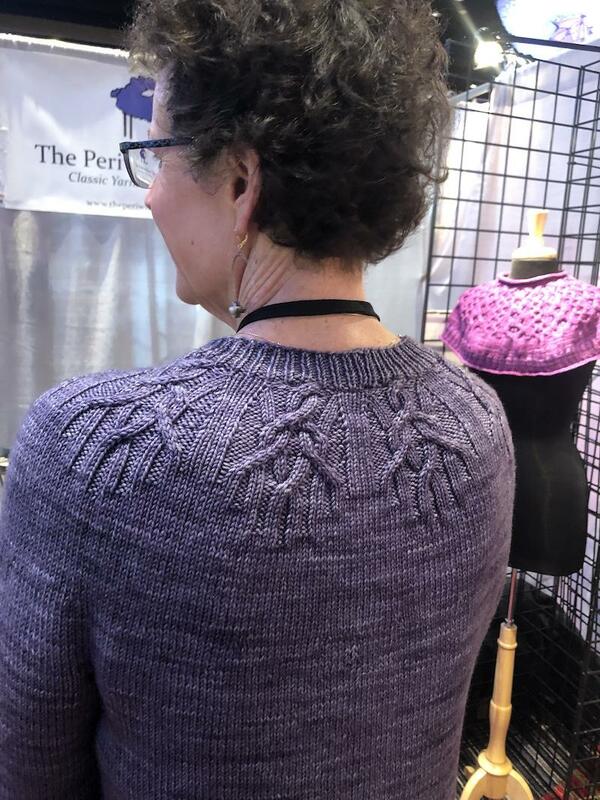 Also a huge shout out to Periwinkle Sheep – Karin and Amy and Tina. I’m not sure if it was Amy or Tina who helped me choose yarn for my Liberty Wool pullover, but even in a crazy booth, she took the time to help me figure out how many skeins I needed, we examined samples to see that the cables had great stitch definition even on the darker colors, and helped compare skeins to choose the most similar ones. 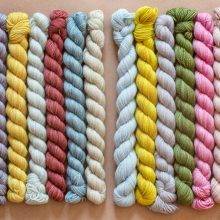 I can’t wait to work again with Karin’s yarn. 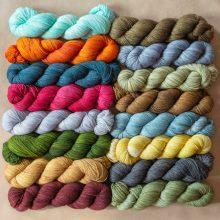 Also always lots of love for my LYS Knitty City. So much love to you Christine!!! Can’t wait to see your sweater. You’re such a beautiful knitter. Thank you for the vicarious visit! It clearly was all great fun! Looks like a lot of fun! Wish I could have been there, but family came first. Where was the white gown with the crown? 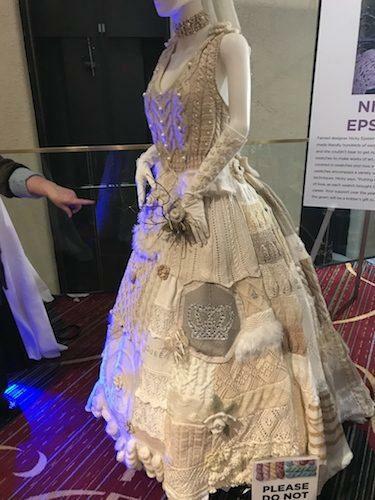 I am going to NYC in March and would love to see that exhibit as I am an heirloom sewer as well as a knitter. Thank you so much! Wow! 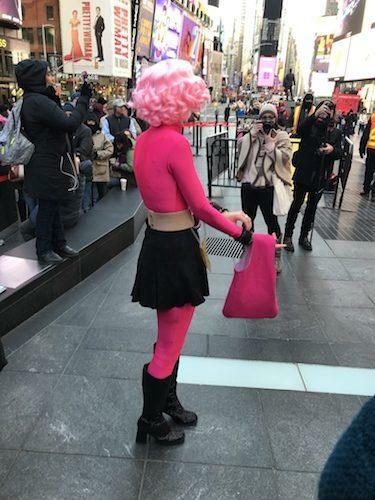 So that’s what Liberty Tree looks like w/o bobbles–I love it. 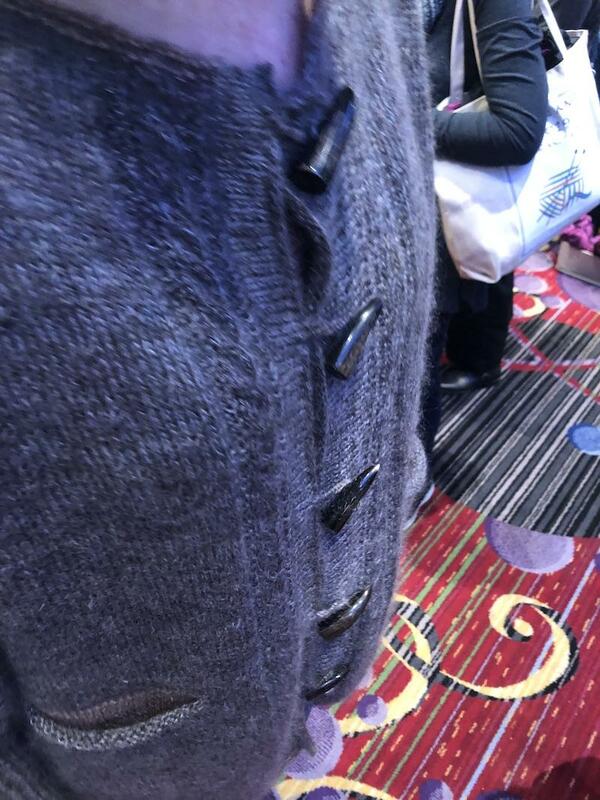 And that’s what the Caplet looks like made into a sweater–now I won’t have to do it myself! 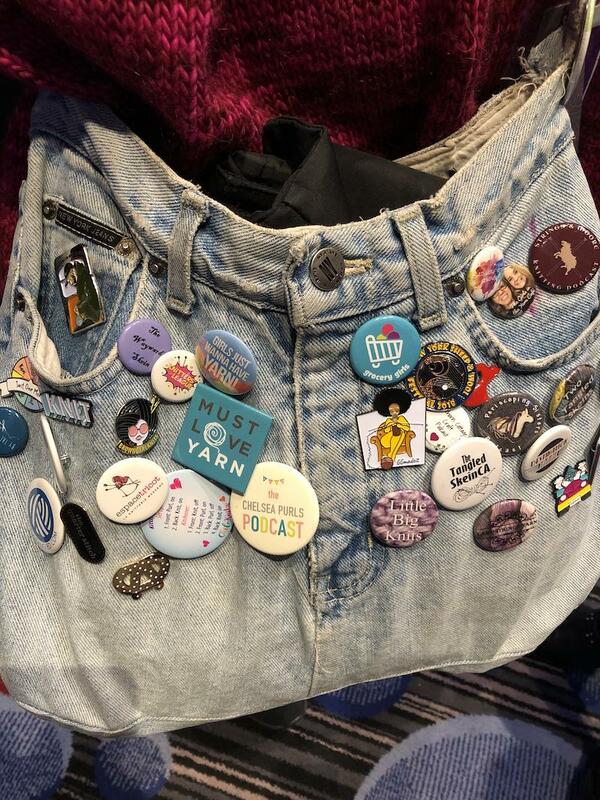 And there’s Anne’s jacket, I think–it must be finished. 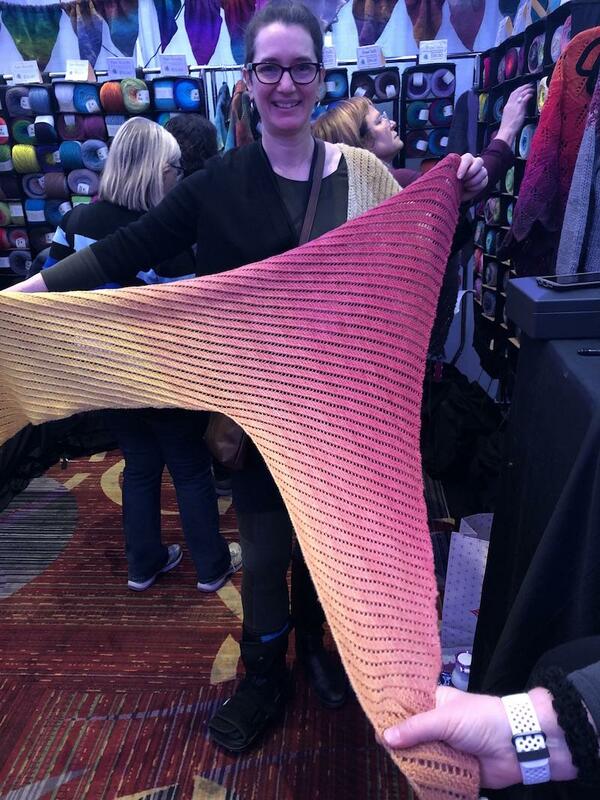 And there she is wearing Ann Weaver’s nine-patch shawl! And, and, . . ! I wish I’d gone too. I am so jelly. 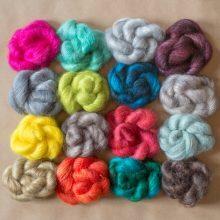 love NYC, love yarning! 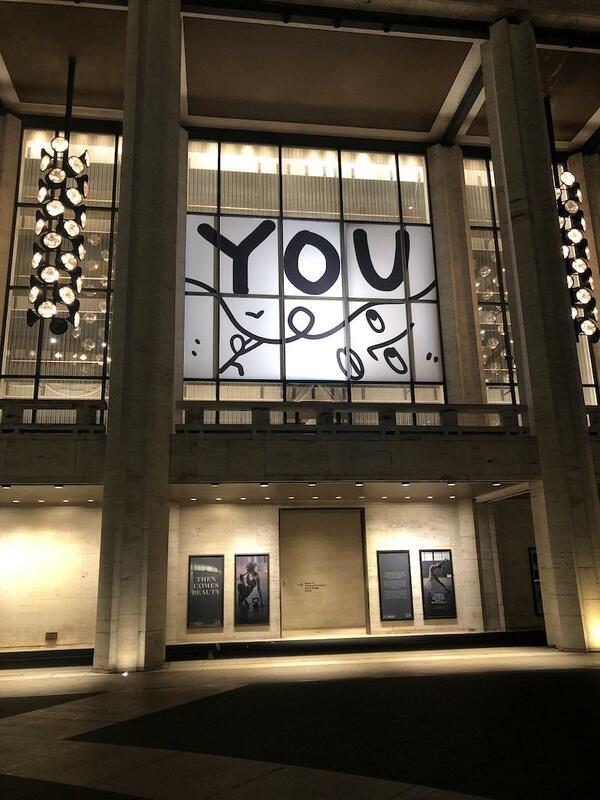 Thank You for the exciting pictures of a terrific time. I been to NYC July 2007, not knowing about such yarn fun! I will make it my plan to get there someday. I LOVE the pictures!! 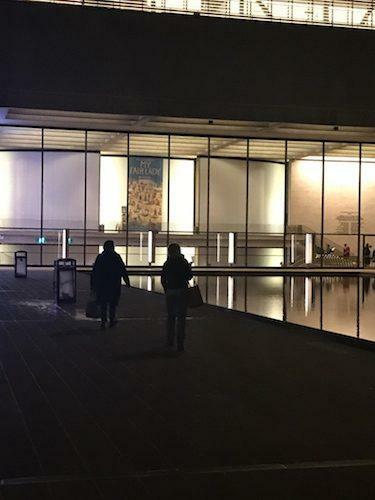 So glad you both had a wonderful time! 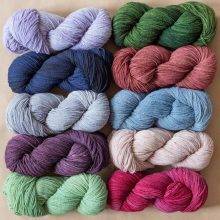 Your daily emails bless me every day… I am so glad that I am NOT alone in my yarn obsession. Never been to NYC but that looks mighty appealing!! 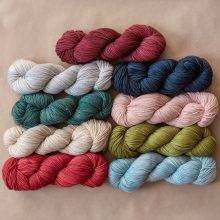 Your gorgeous samples made ME want to join the KAL and I was already fully committed to the KAL. Some beautiful banging-out is going to be happening. 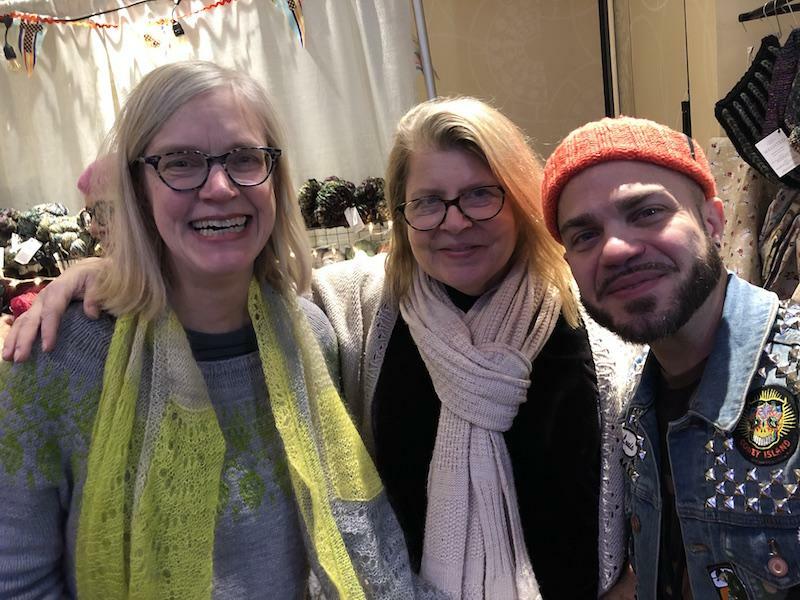 It made my day to see the joy, creativity, and variety of our giant knitting community! Proof that knitters know how to party! That deep red/orange? cardi made without a pattern is stunning!! Looks like a great time was had by all 🙂 Sorry you had to take home a souvenir cold Ann:( Get well soon. It was a treat to meet you all! 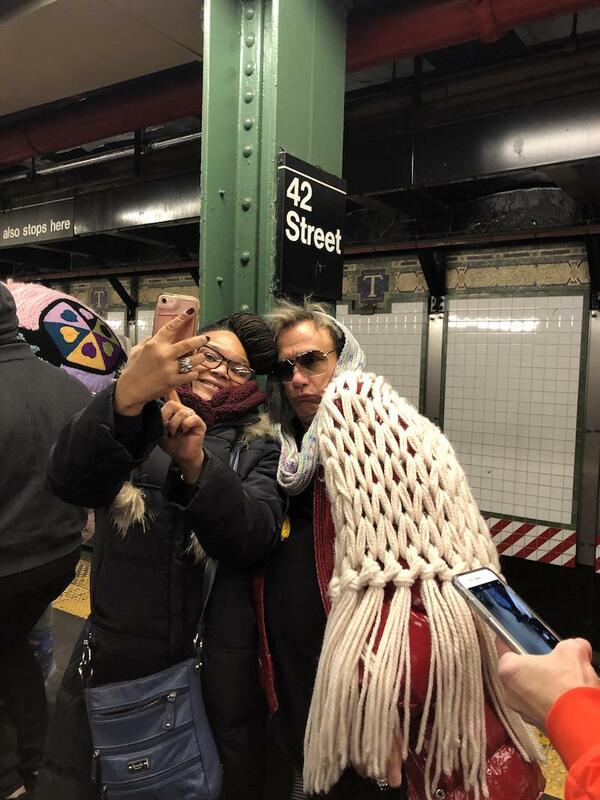 Ann, get rid of that NYC cold! See you next year for the full show, classes and all! Fan-girling like crazy! So glad you all had such a good time! I love the postcards from NYC. 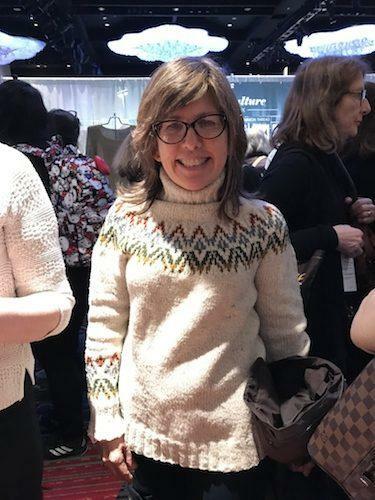 what is the name of the white sweater pattern with the color work on the yoke and on the sleeve? 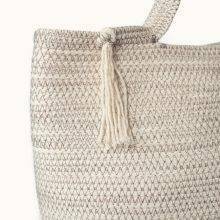 That’s me, in my Hadley! My first sweater. Easy, thanks to clear instructions. Go for it. Thanks for posting all the fabulous pictures!!! I wish we had more–it’s hard to remember to take pix with so much going on! 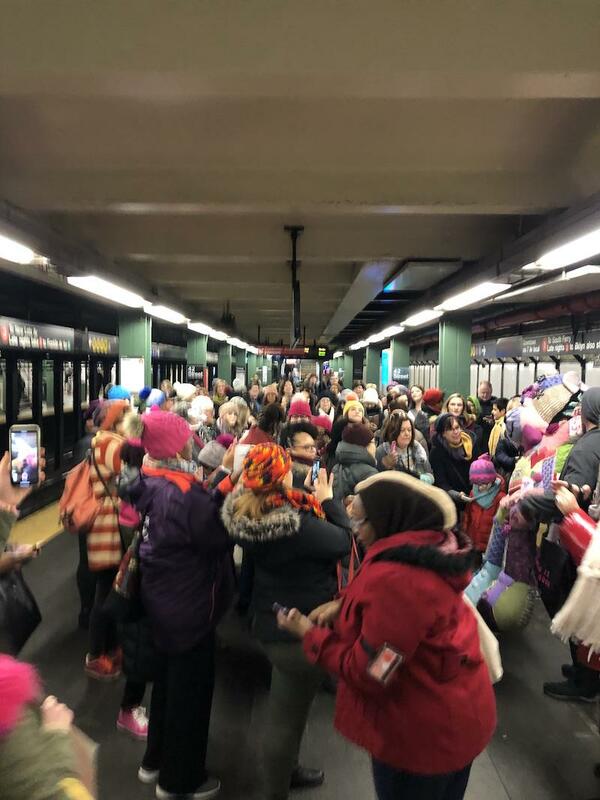 Are there many things that are better than seeing a huge crowd of diverse and gorgeous knitters and projects? Hopefully one of these years I will be in NYC for this. 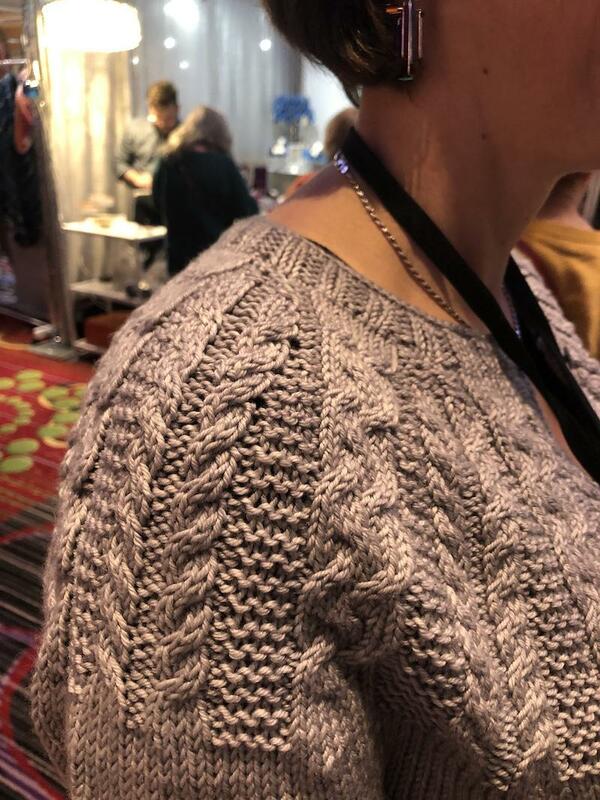 I Rhinebecked for the first time this last Oct, and wow – being surrounded by knitters at least as obsessed as me was a treat I never fully anticipated! Such a joy! 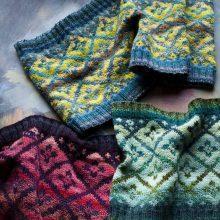 Love the version of the sweater in blues in your photo toggles and carpet…do you know what yarn was used? That’s the Eastwind Jacket from Emily Foden’s Knits About Winter. I finished it just in time to wear it. 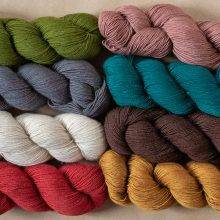 The yarns are Viola Yarns Persephone helps with Viola Yarns Mohair Lace. I loved making this so much! Can someone tell me how to pronounce Norah Gaughan’s last name? I was at her lecture but I missed her into and I hate mispronouncing it, even in my head. Rhymes with “fawn,” pretty much! 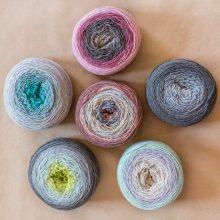 On the same note … I always find it interesting to see what trends there are … speckled yarns were truly huge. No one pattern overall … but lots of asymmetry. It was so much fun! (I was there Sunday, and yes that hotel is just so Portman … lines for the elevators … we used the escalators out). So sorry I missed you … Hope MMM is better and that Anne got to visit a child in between yarn sightings. 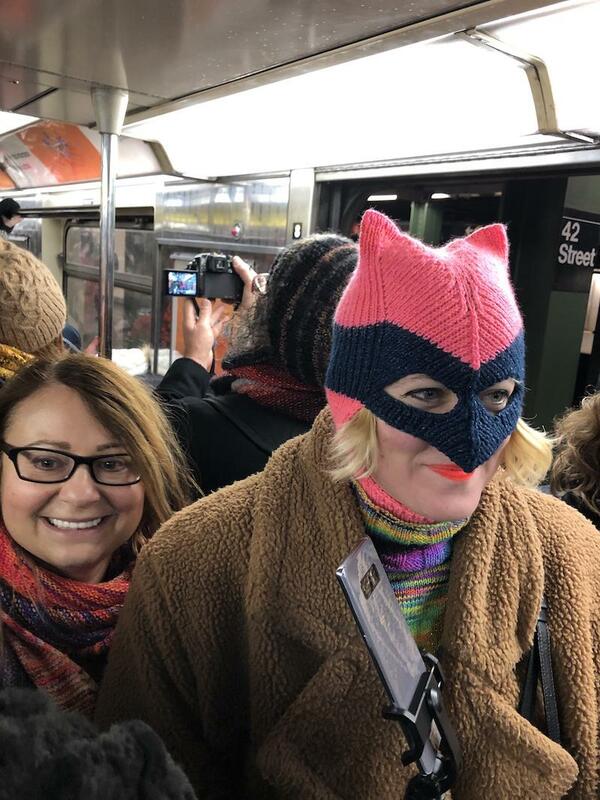 I love Amy Reeder’s hat! Perfect for the arctic cold some of us are experiencing right now and stylish, too! 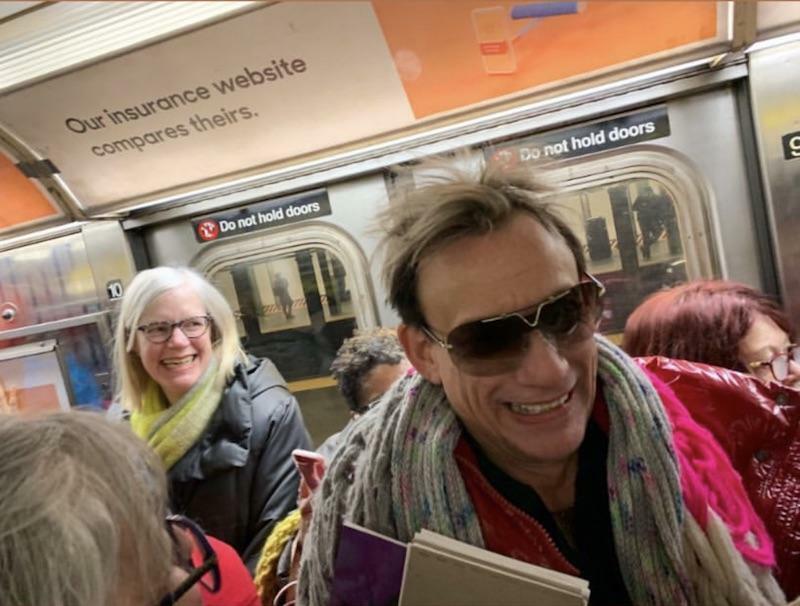 It’s Cindy – the woman who stalked you into the loo at the Nashville Airport, on your return from NYC. I sure hope the cold is getting better. You and Kay keep up the good work!!!! We need you in these times. Your friend in NOLA (and Maine).